Ahmedabad : Continuing their winning spree India on Thursday thrashed Sri Lanka by six wickets in the second ODI of a five-match series. 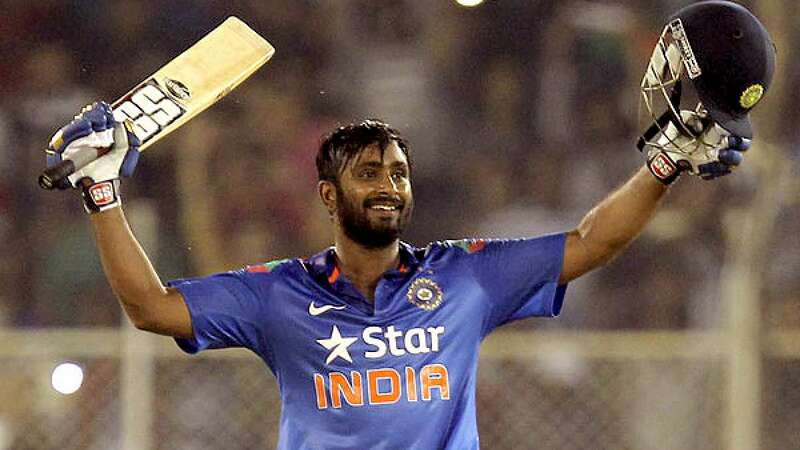 - Ambati Rayudu turned up as the star batsman as he slammed his maiden hundred to mark India’s victory. - India is now leading the series by 2-0. - Sri Lanka had won the toss and elected to bat first. They settled their innings on 274 runs for the loss of eight wickets. - Skipper Angelo Mathews contributed 92 runs and took his team to the respectable total. - India successfully chased down the target in 44.3 overs. - Next match is scheduled in Hyderabad for November 9, 2014. India: Virat Kohli (capt), Shikhar Dhawan, Ajinkya Rahane, Suresh Raina, Ambati Rayudu, Wriddhiman Saha, R Ashwin, Ravindra Jadeja, Umesh Yadav, Ishant Sharma, Axar Patel.